Gugglu.com is your one-stop destination for Electronics, Mechanical, DIY, Hobby, RC & Engineering products. 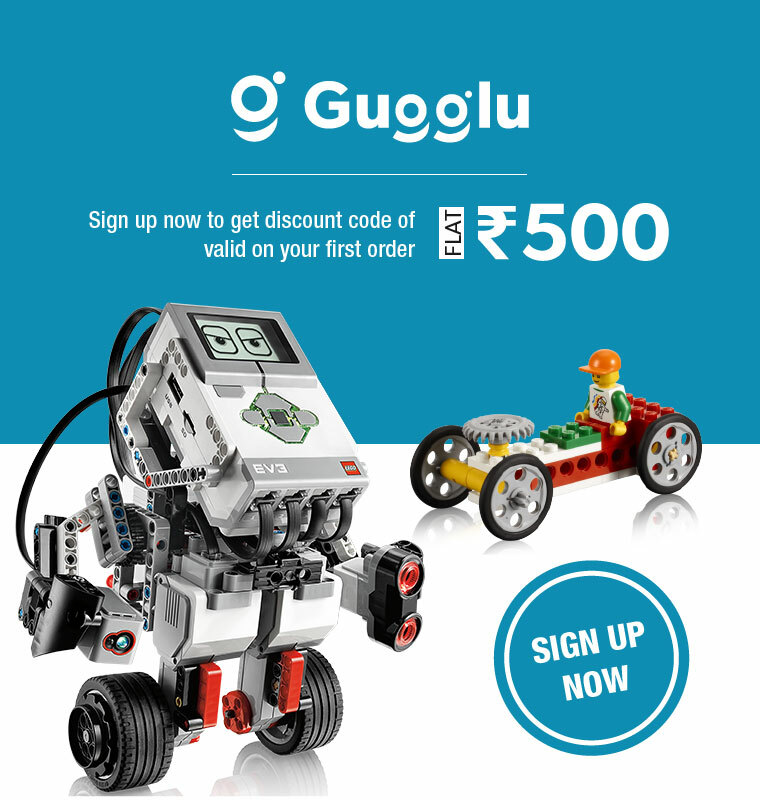 Having pioneered Robotics and STEM Education in India for last 12 years, we at Gugglu.com realized the hardships faced by people who had limited access to a variety of products at the right prices with sparse information on how to use them and had no other option than to pay exorbitant prices to import them in the country and thus Gugglu.com was founded with a vision to eliminate this problem and empower the community by making them available an extensive variety of quality products at the best possible prices. LEGO and RoboGenius are the three flagship brands of Gugglu.com. At Gugglu.com we strive to achieve the highest level of “Customer Satisfaction” possible. Our cutting edge E-commerce platform, highly experienced buying team, agile warehouse systems and state of the art customer care centre provide customer with a customer friendly and empathetic online shopping experience. Engage with us online in a seamless shopping experience across desktop, tablet and smartphone. Explore the best brands with products like LEGO, 3D Printers, Internet of things and Electronics.